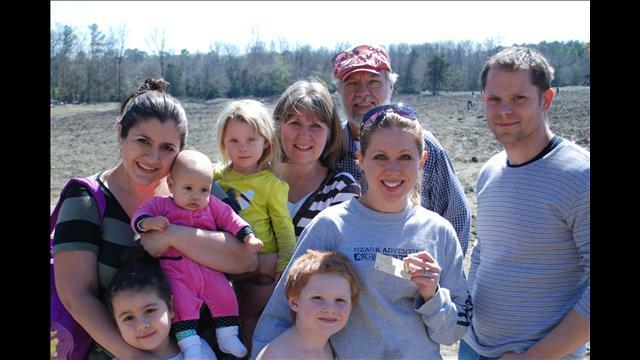 Andrea Murphy and her family show off the brown diamond that she found at Crater of Diamonds State Park. Photo credit: Crater of Diamonds State Park. Andrea Murphy of Gentry, Arkansas visited the Crater of Diamonds State Park with her family to celebrate her birthday. Crater of Diamonds State Park is located in Murfreesboro, Arkansas. Since the diamond is the birthstone of April, isn’t it fitting that she found a brown 2.10 carat diamond during her visit? This is the 6th diamond that was been discovered in the park since January 1st and the 144th diamond that has been found in the last 365 days. The first diamond ever discovered on this land was found in 1906 by John Huddleston and over 75,000 loose diamonds have been unearthed since. The largest stone that was ever found is called the ‘Uncle Sam.’ That particular white diamond featured a pink cast and weighed 40.23 carats. “The Crater of Diamonds State Park is very much a family place. Multi-generational families, like Andrea’s relatives, often enjoy the park together. The park staff is thrilled that this family get-together resulted in just what they’d hoped for-a diamond to celebrate Andrea’s birthday,” said Jenks.